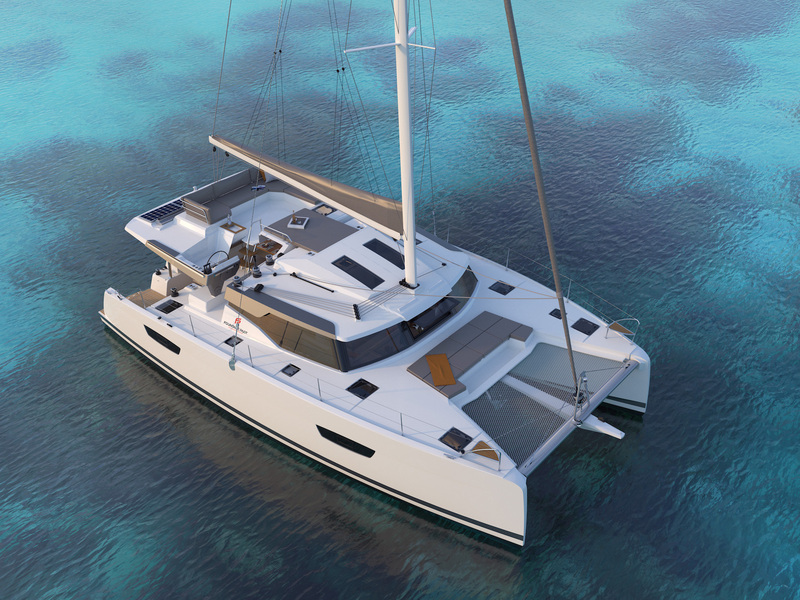 Fountaine Pajot launches new 45’ sailing catamaran. Unveiled at the 2018 Cannes Yachting Festival, the new 45 from Fountaine Pajot incorporates a bold design, voluminous living space, a bright interior and a new below-waterline hull design to further improve performance. The New 45 is designed by the team of Berret-Racoupeau and boasts energetic lines and inverted bows, and incredible interior living spaces. This elegant catamaran also has a newly designed helmstation to improve handling and long-distance cruising comfort. 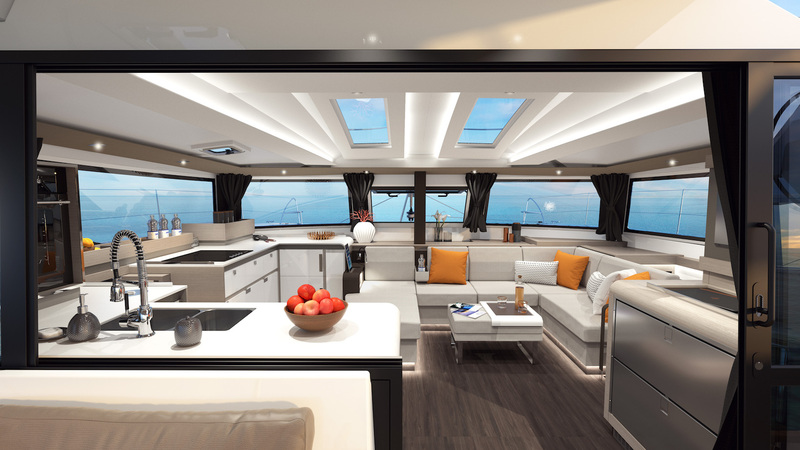 The catamaran delivers an abundance of light, an expansive cockpit opening onto a saloon, and the largest lounge space of her category, plus extensive storage discreetly hidden from view. The owner’s suite and guest cabins are also bathed in natural light and offer a quiet, stylish haven in which to relax, each with ensuites (depending on version.) The New 45 by Fountaine Pajot is enhanced by incredibly generous relaxation spaces on the foredeck, lounge deck and in the cockpit and has an innovative Beach Club electric platform available as an additional option. Multihull Solutions has already taken 11 orders on the New 45, setting a record for sales on a model prior to launch. 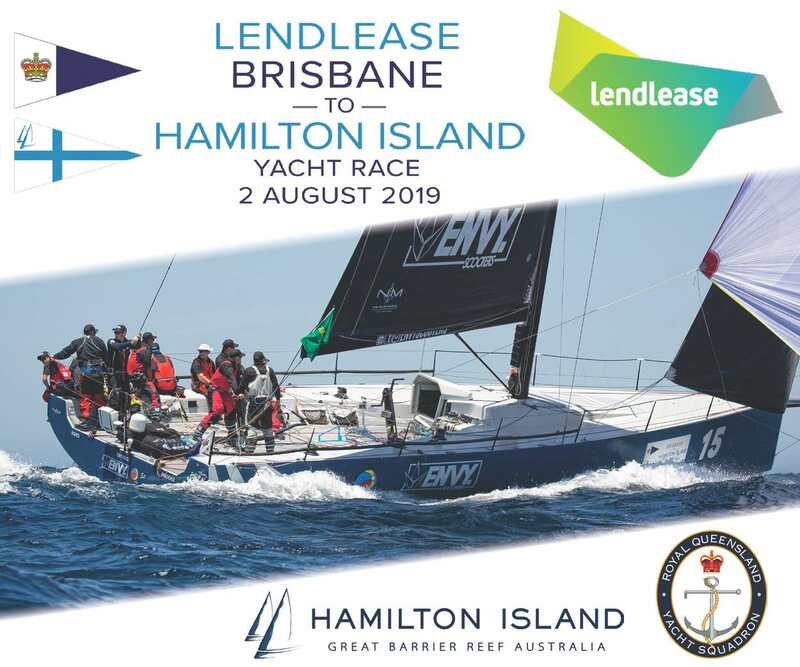 The catamaran will be officially launched in mid 2019.
he New 45 is priced from AUD$900,000 (plus shipping and taxes if applicable) and is exclusively available in the Asia Pacific region through Multihull Solutions.